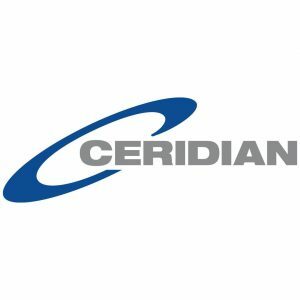 Ceridian, a leading human capital management technology company, today announced its status as a global EDGE certified company. Economic Dividends for Gender Equality (EDGE) is the leading global and business certification standard for evaluating corporate commitment to gender equality. At the global level, Ceridian earned the EDGE ASSESS level of certification after a rigorous third-party evaluation by measuring the gender balance, equal pay for equivalent work, effectiveness of policies and practices and the inclusiveness of the culture. Ceridian is also the first publicly traded company to receive the second level of EDGE Certification, EDGE MOVE, for its U.S. operations. Ceridian champions diversity and inclusion initiatives including the Ceridian Women’s Network, a forum that focuses on the professional improvement and personal development of women. Ceridian is also a founding partner of #MoveTheDial, an initiative dedicated to increasing the participation and advancement of women in technology, and participates in the #GoSponsorHer program, a grassroots movement to promote supporting the growth and success of women at work. In addition to its EDGE certification, Ceridian was recently recognized by independent analysts as a Best Workplacetm for Women by Great Place to Work® in Canada. To read more from Lisa Sterling about how to establish and promote a culture of equality and inclusion, please visit the Ceridian blog.